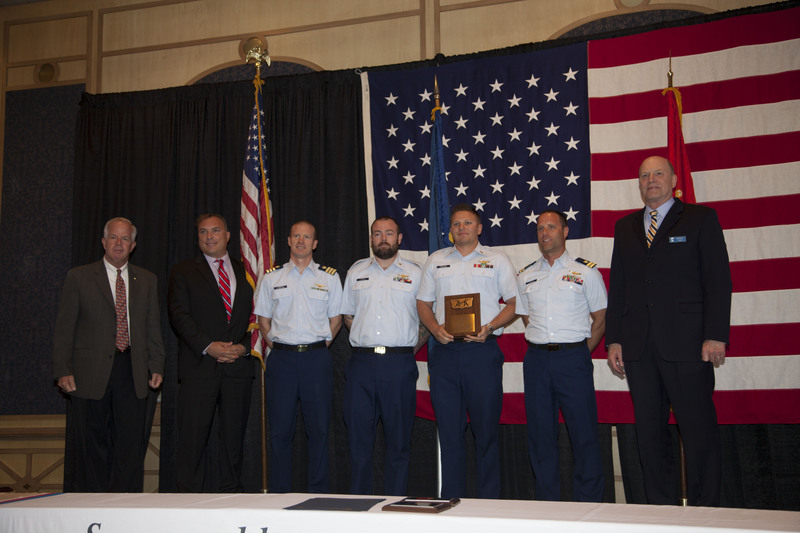 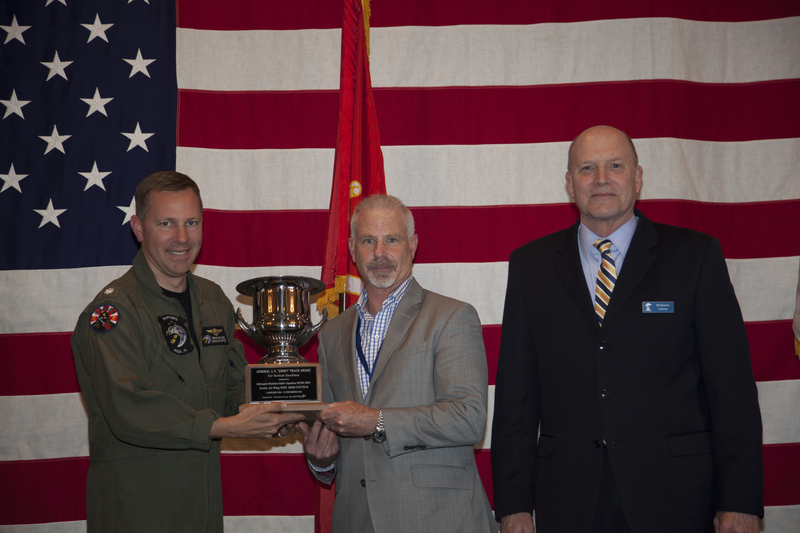 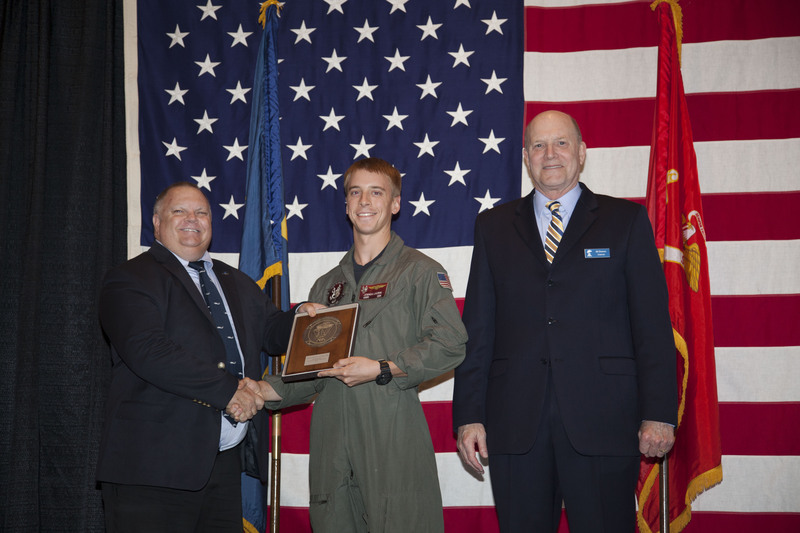 The CAPT Mark Starr Award is presented and sponsored by the NHA Historical Society annually to the individual, organization, or group who has made a major contribution to naval helicopter history. 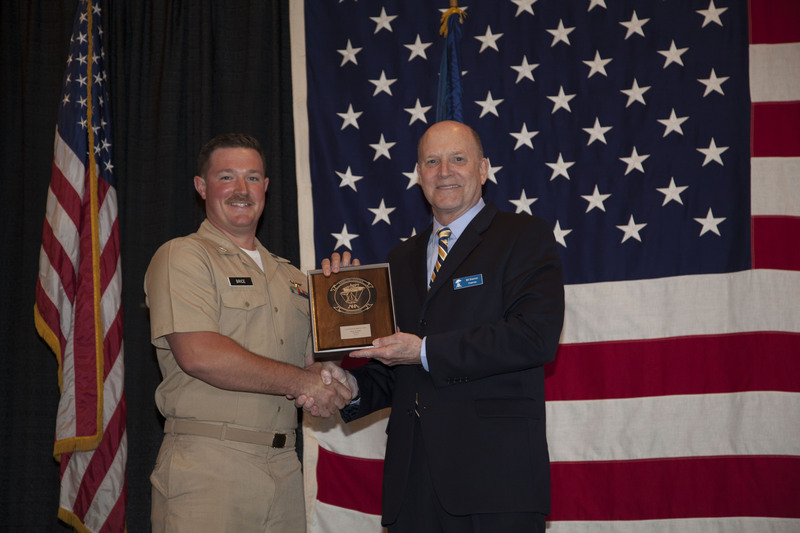 This year's recipient of the CAPT Mark Starr Award is CAPT Richard S. Roberts, USN (Ret). 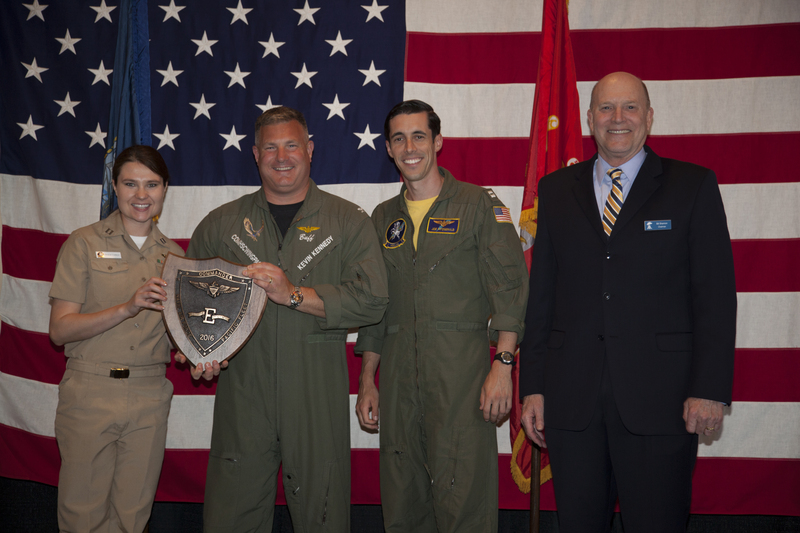 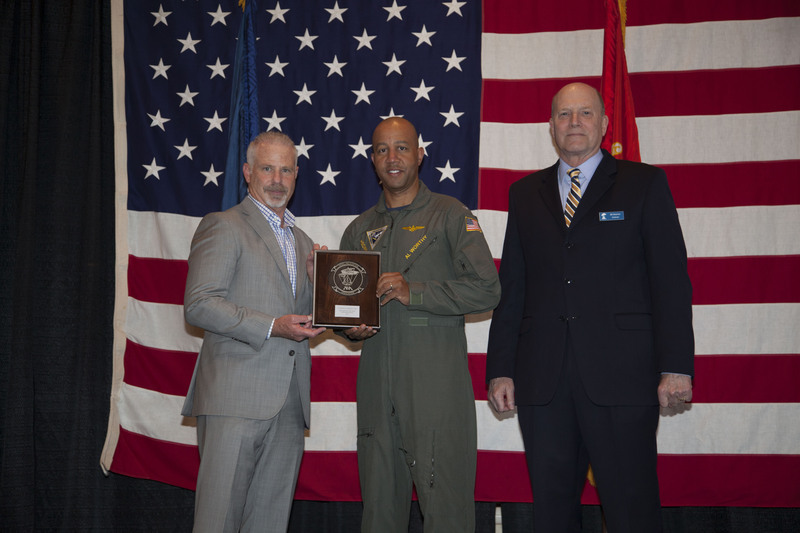 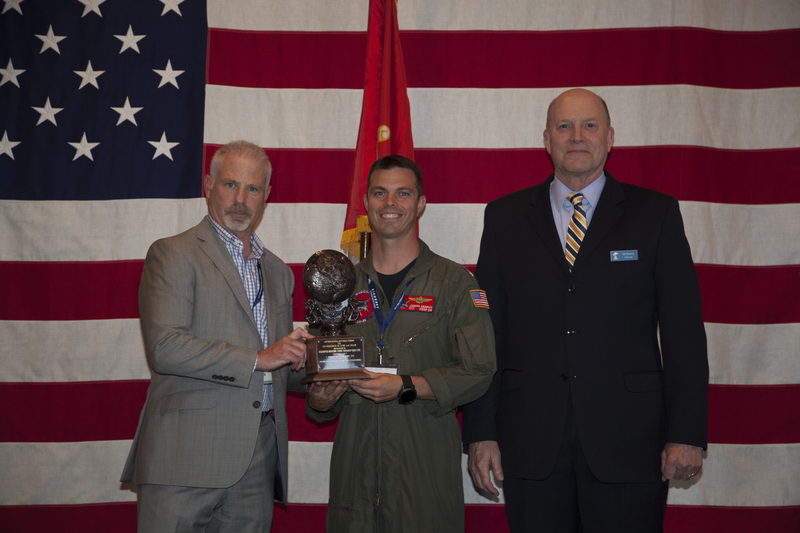 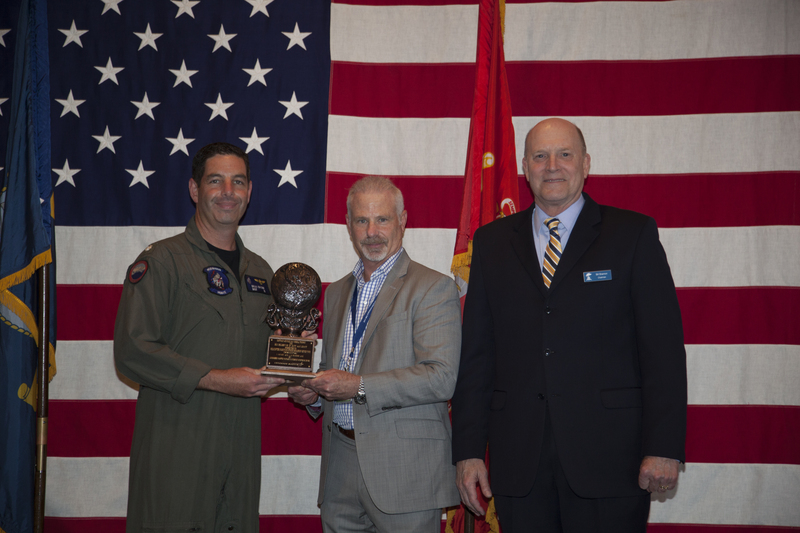 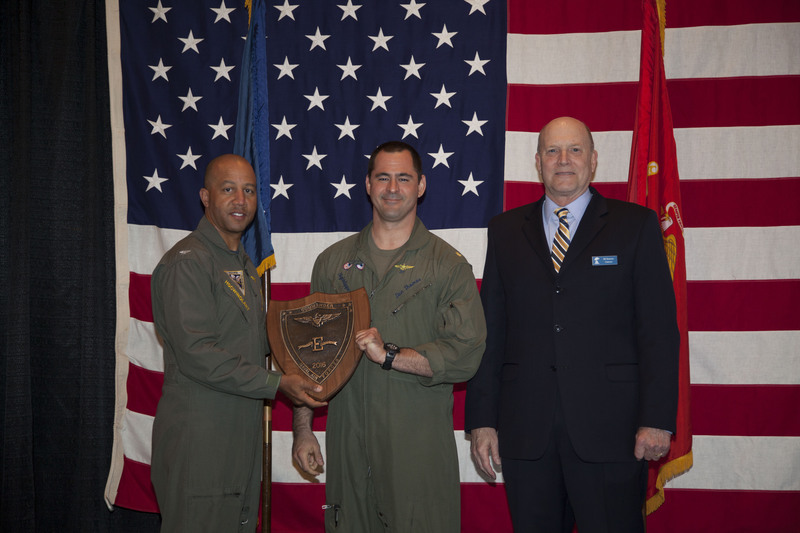 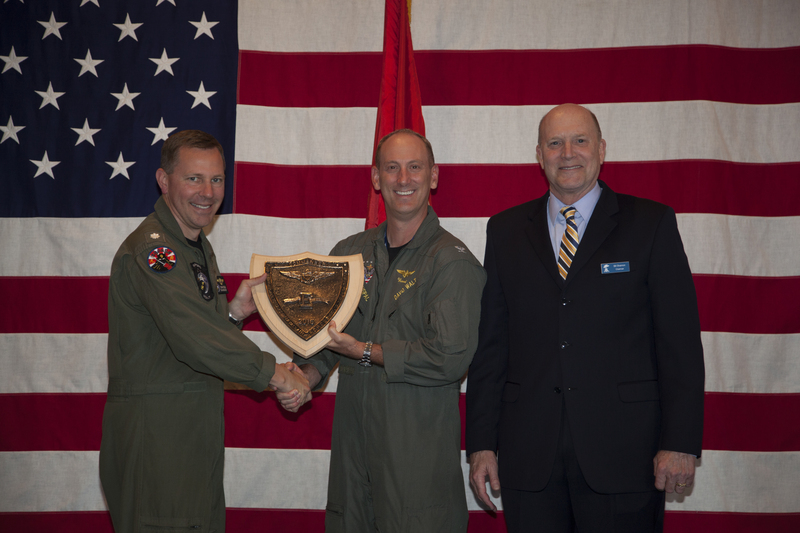 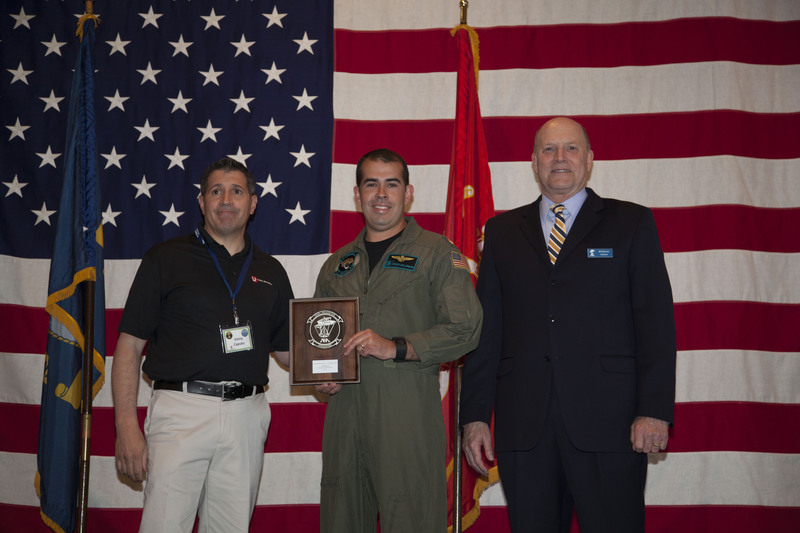 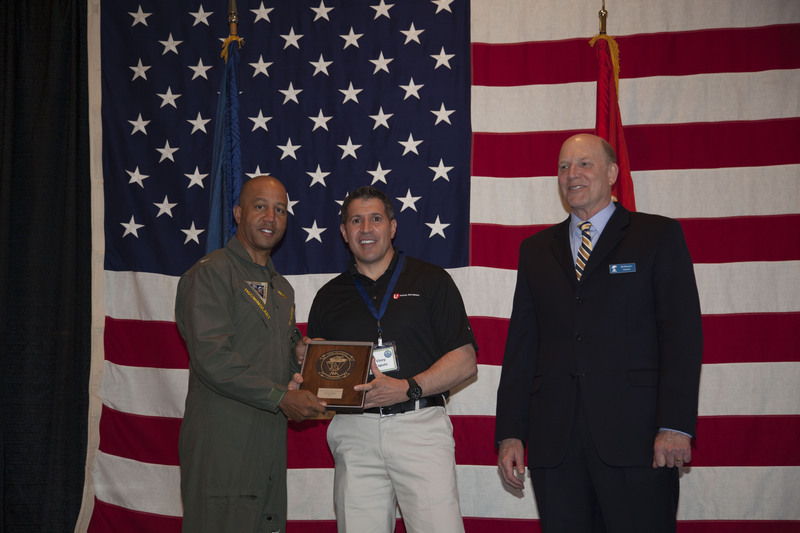 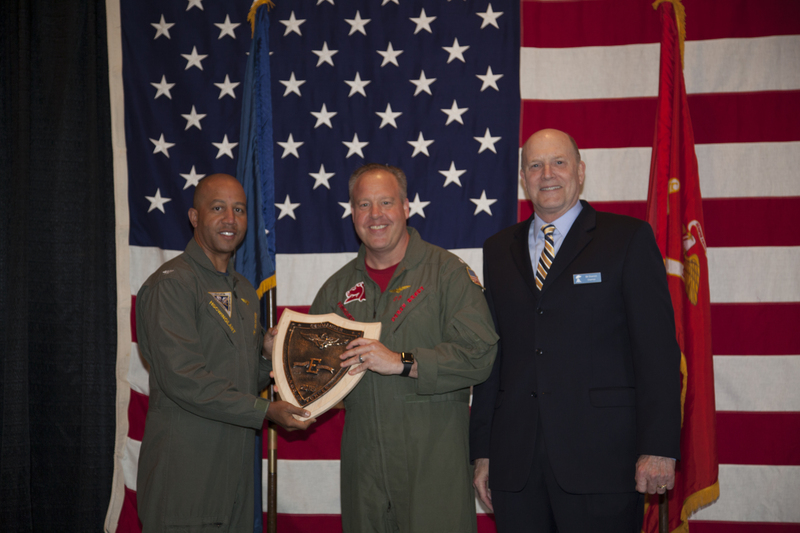 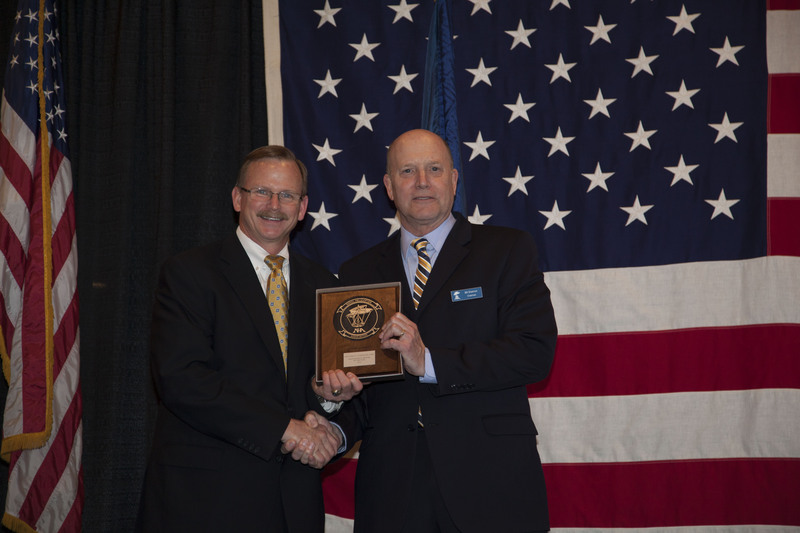 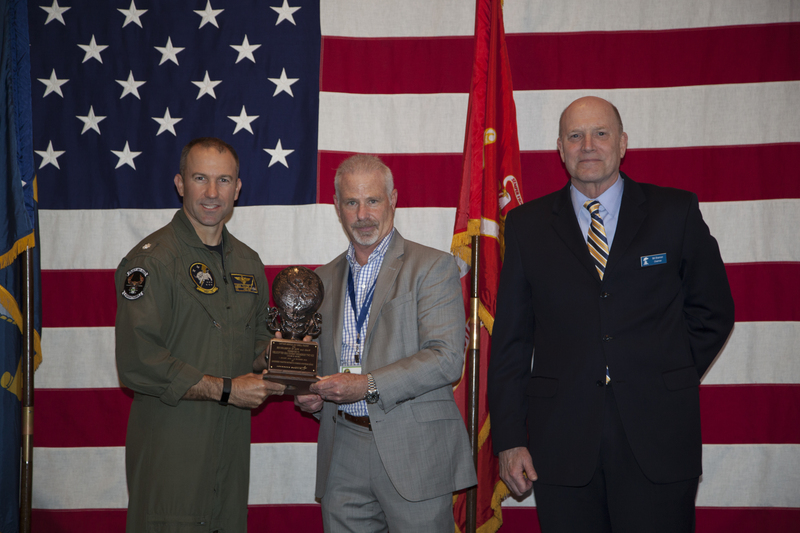 CAPT Roberts could not attend Symposium in San Diego and was presented with his award at a special ceremony in Orlando, FL. 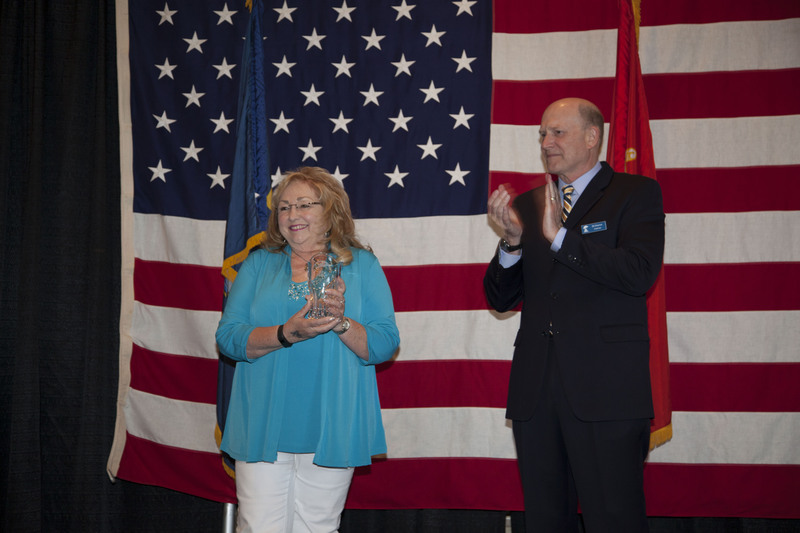 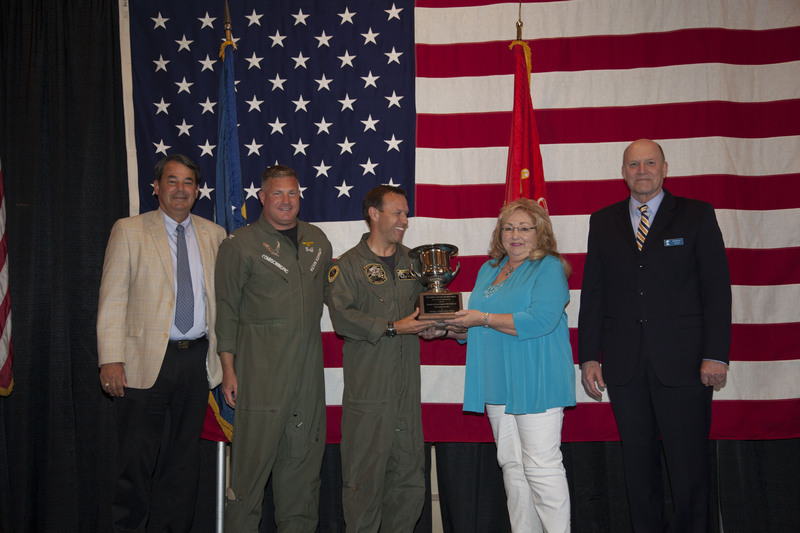 Mrs. Walker is presented a vase by NHA Chairman RADM (Ret) Bill Shannon. 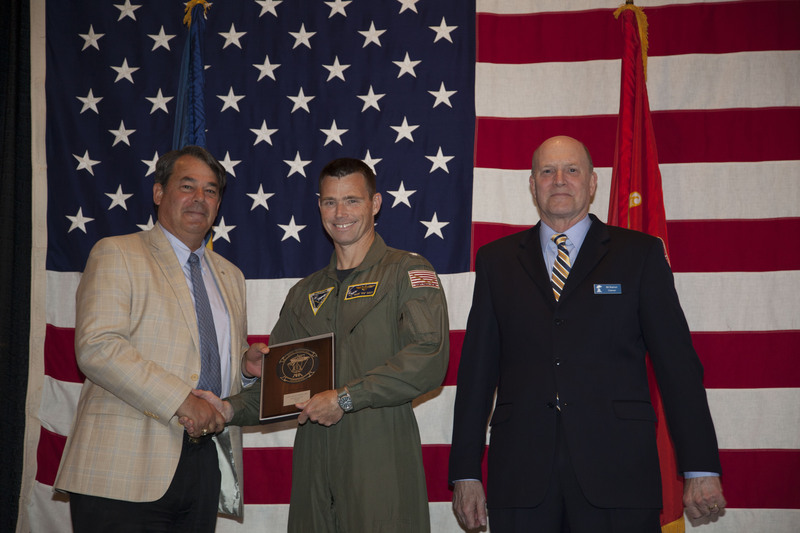 of HSC-14 “Chargers” and accepted by CDR Thomas Lansley (m), current Commanding Officer of HSC-14 “Chargers” and presented by RADM Steve Tomaszeski (l) and Paul Croisetiere (far left) of GE Aviation. 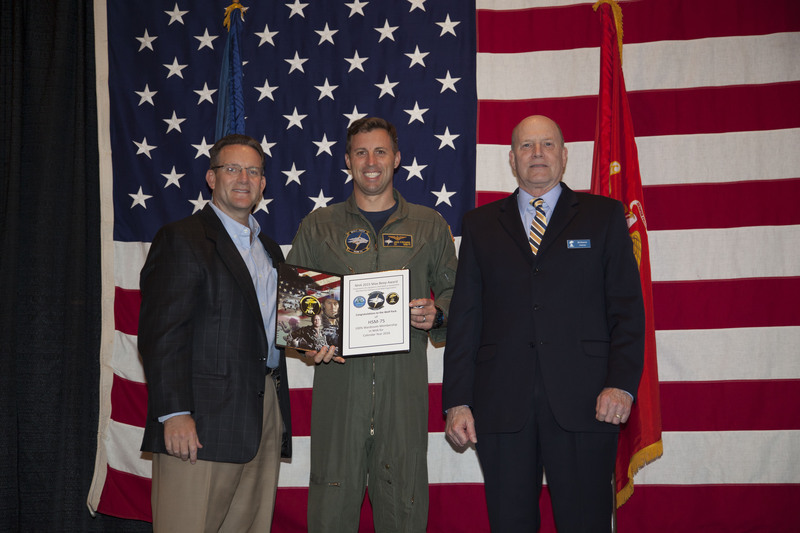 Awarded to HSC-3 with 100% participation. 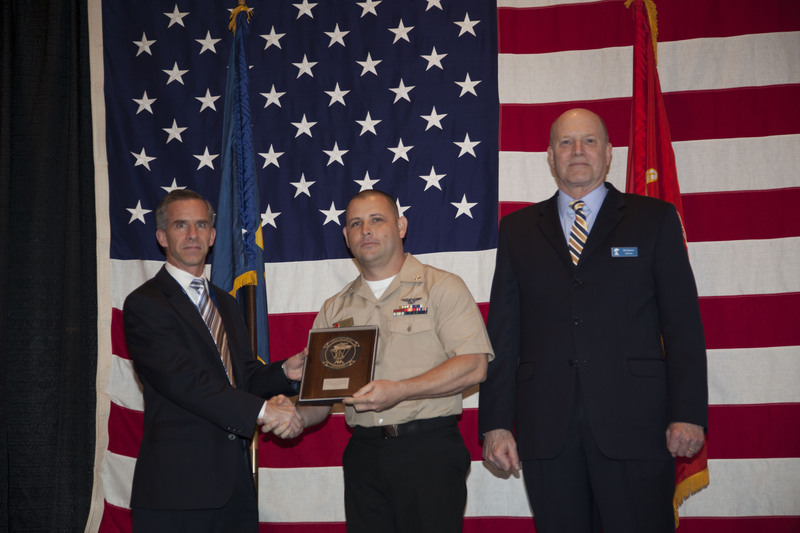 Presented to CDR Sean Rocheleau (m), Commanding Officer and presented by John Rees (l) of SkillMil, Inc. 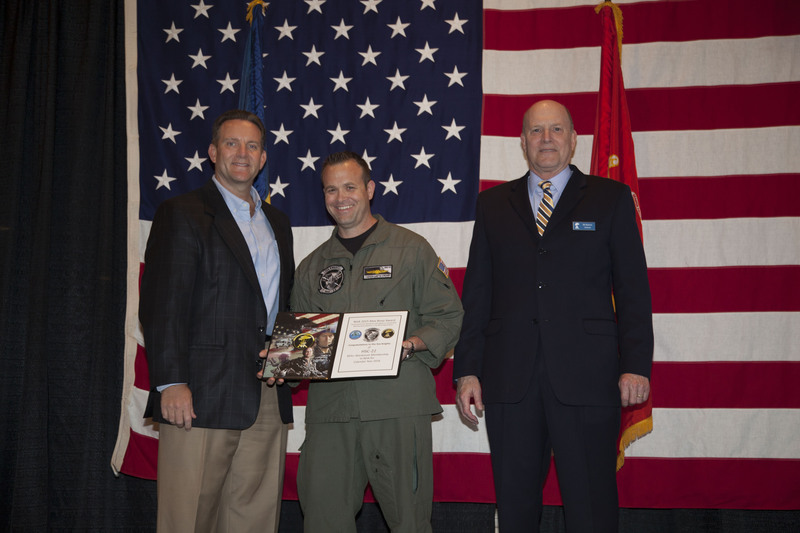 Awarded to HSC-8 with 85% or more participation. 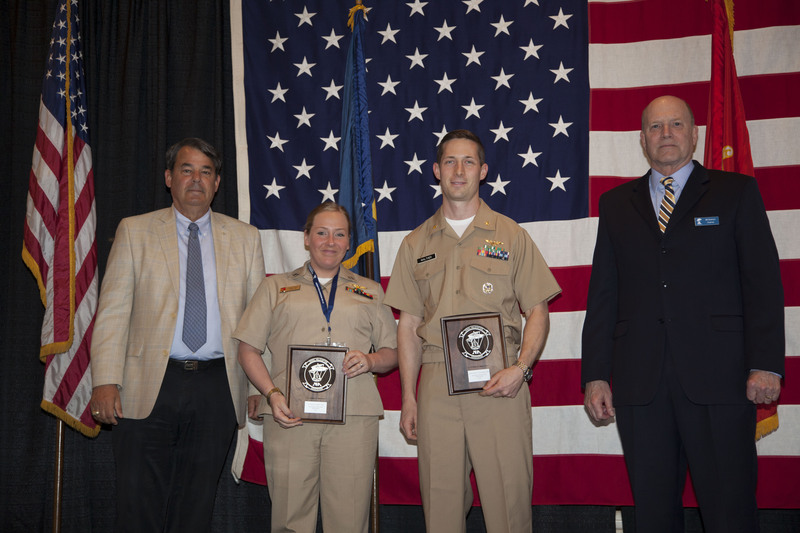 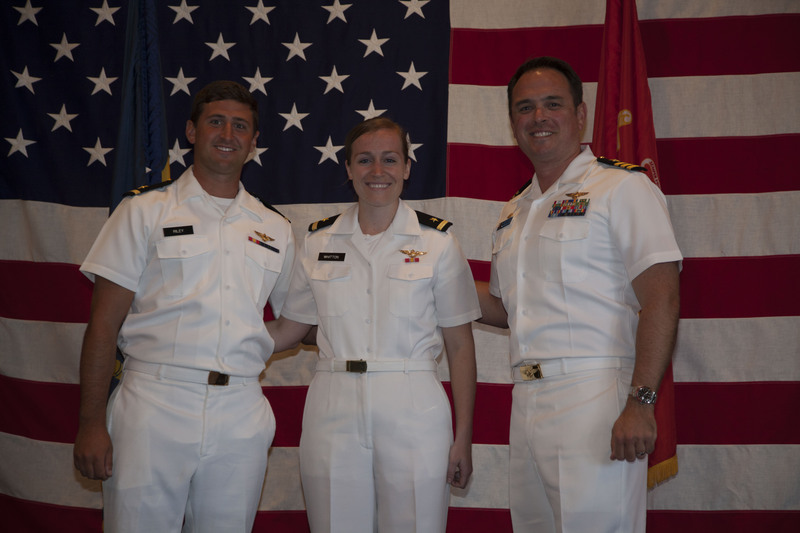 Presented to LCDR Kelly Middleton (m) and presented by John Rees (l) of SkillMil, Inc. 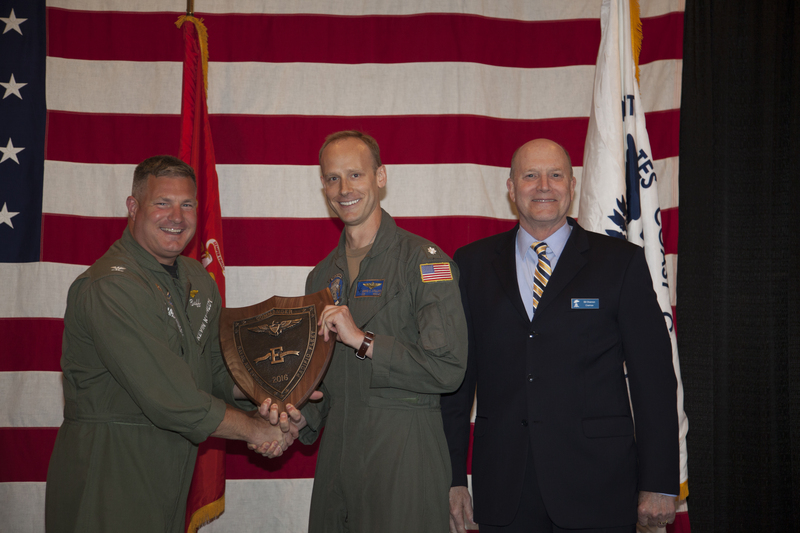 Awarded to HSC-75 with 100% participation. 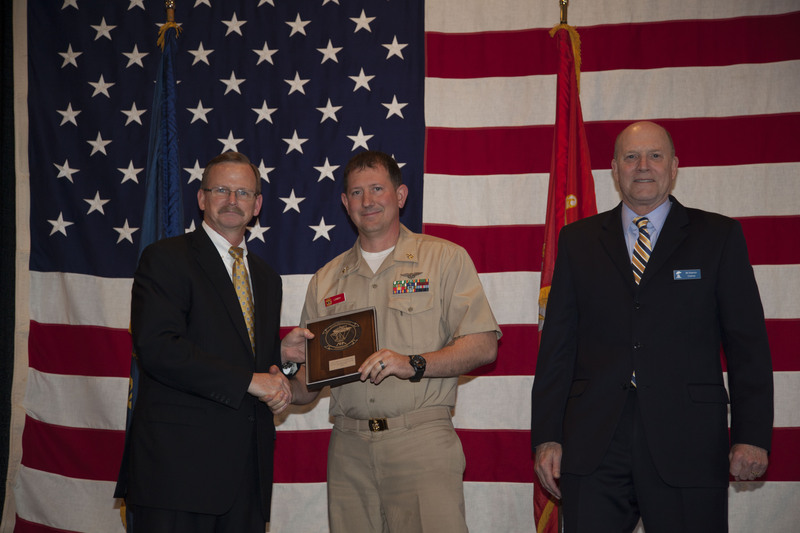 Presented to CDR John Kiefaber (m), Commanding Officer and presented by John Rees (l) of SkillMil, Inc. 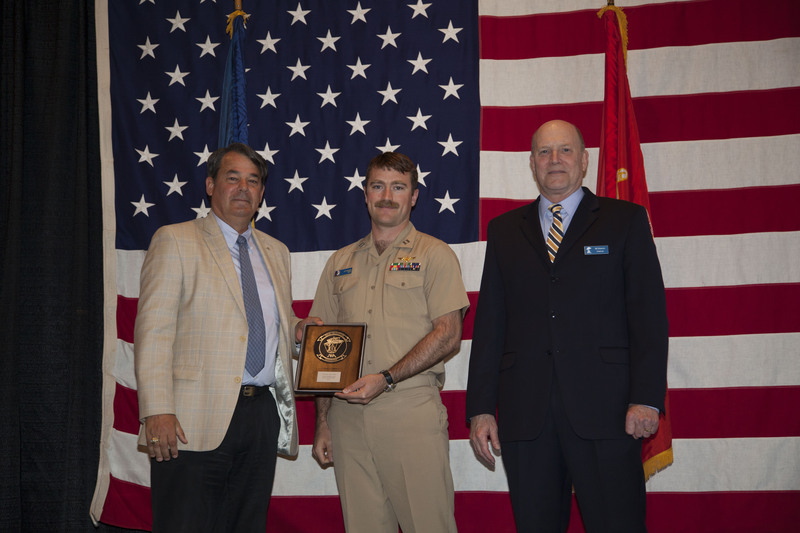 Awarded to USS Essex (LHD 2) with 100% participation. 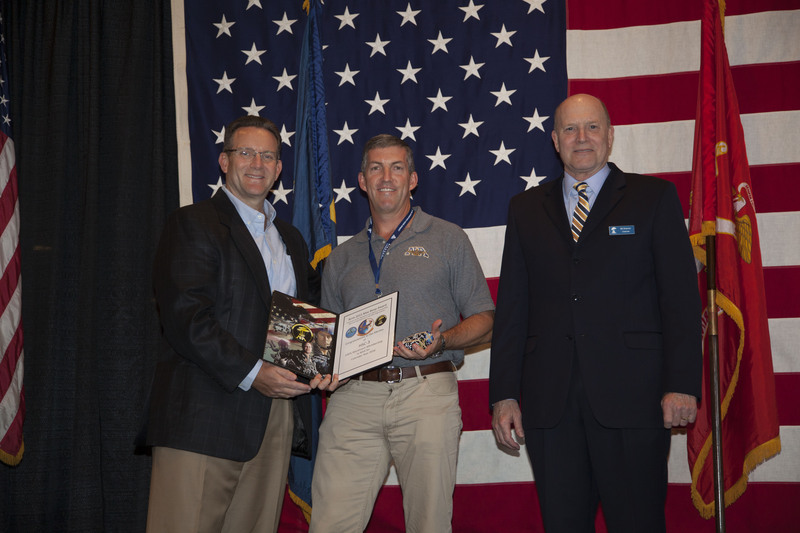 Presented to LT Mike Hearon (m), Commanding Officer and presented by John Rees (l) of SkillMil, Inc. 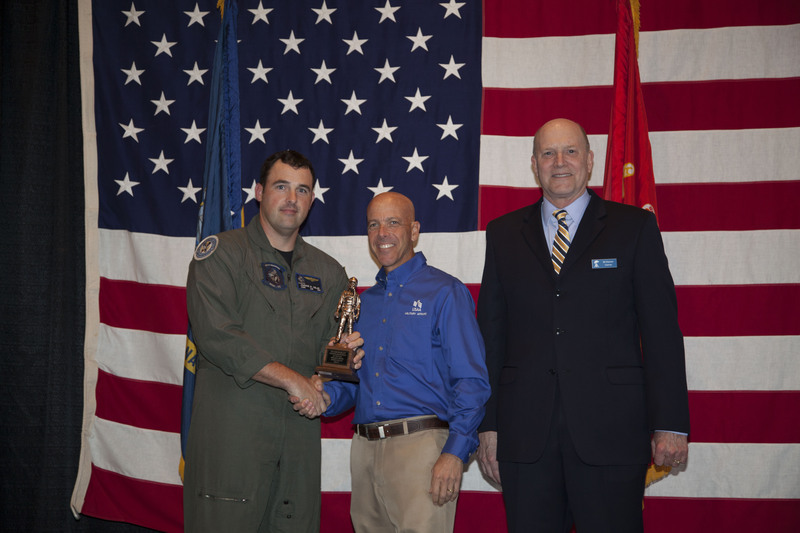 Awarded to HSC-4 with 85% or more participation. 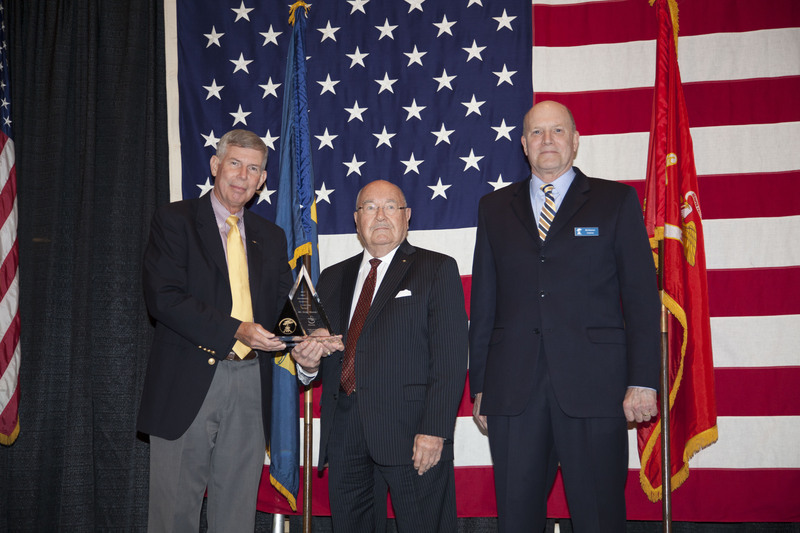 Presented to LT Seffred Olona (m) and presented by John Rees (l) of SkillMil, Inc. 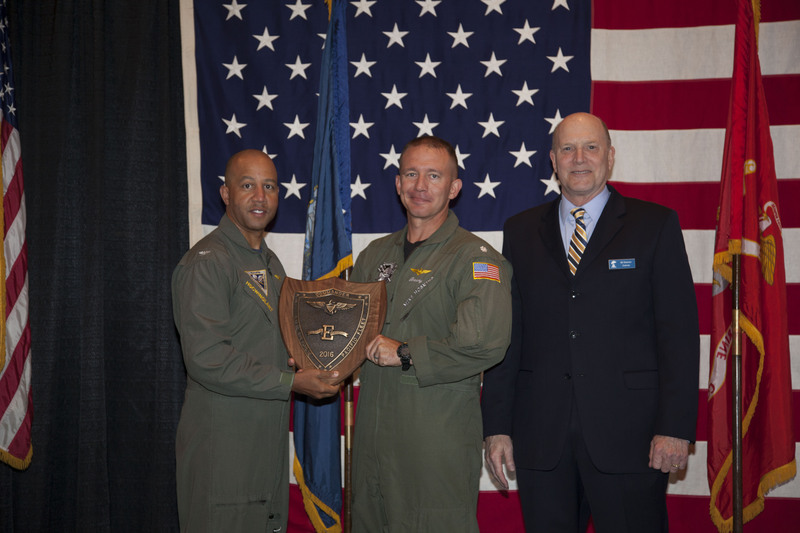 Awarded to HSC-6 with 85% or more participation. 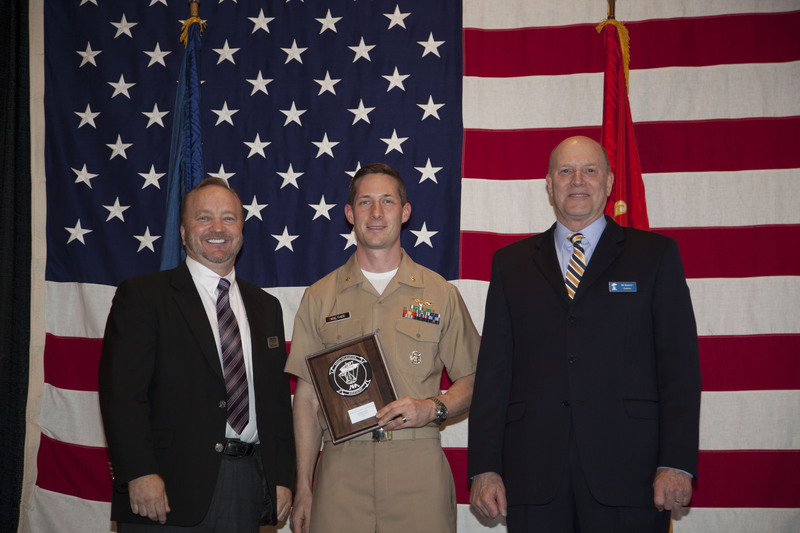 Presented to CDR Josh Ellison(m), Commanding Officer and presented by John Rees (l) of SkillMil, Inc. 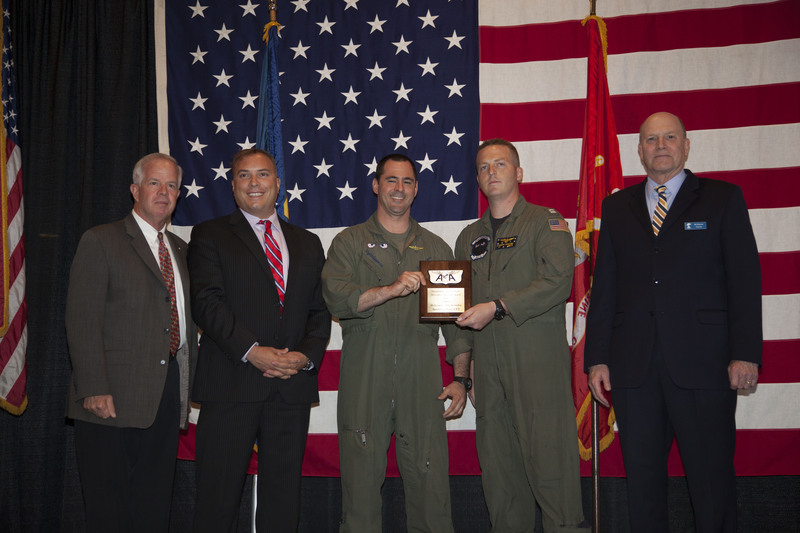 Awarded to HSC-11 with 85% or more participation. 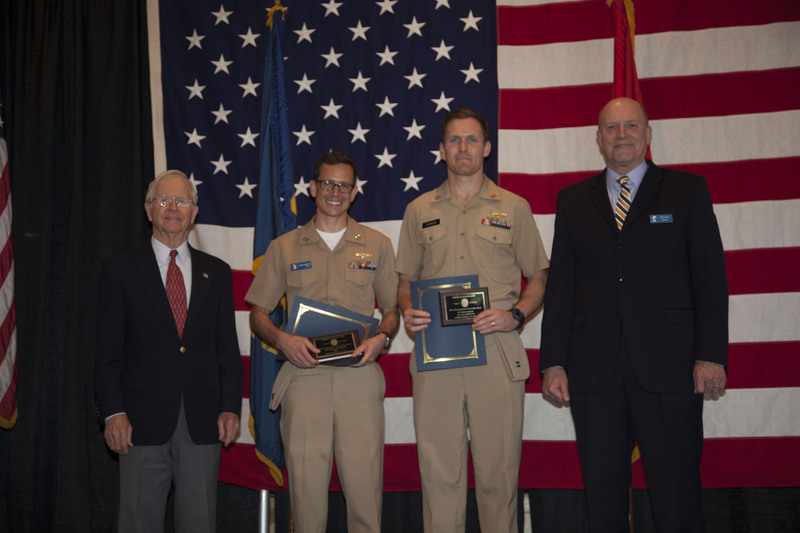 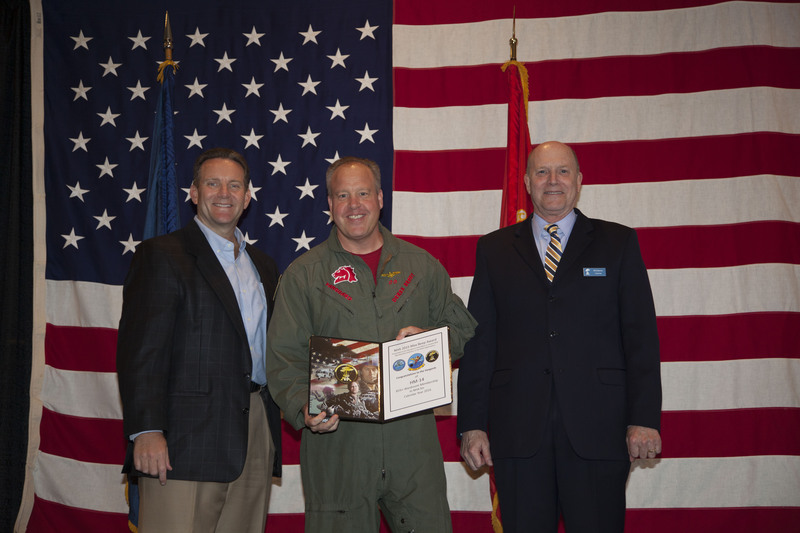 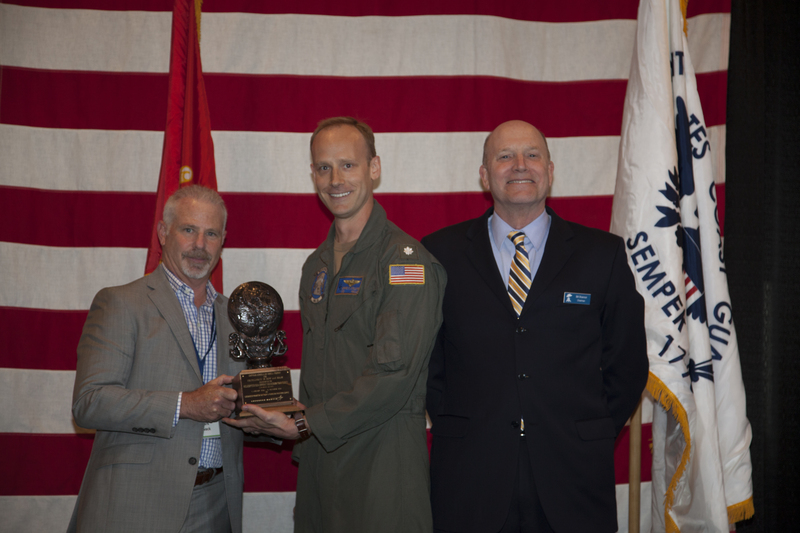 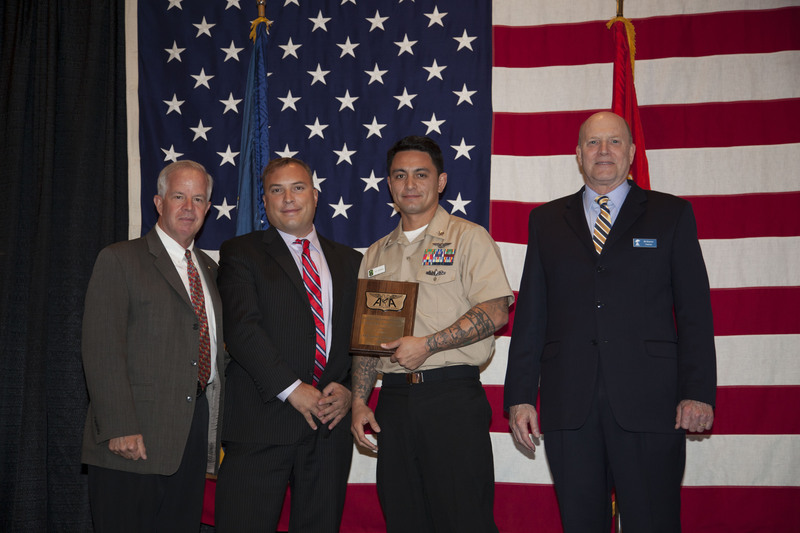 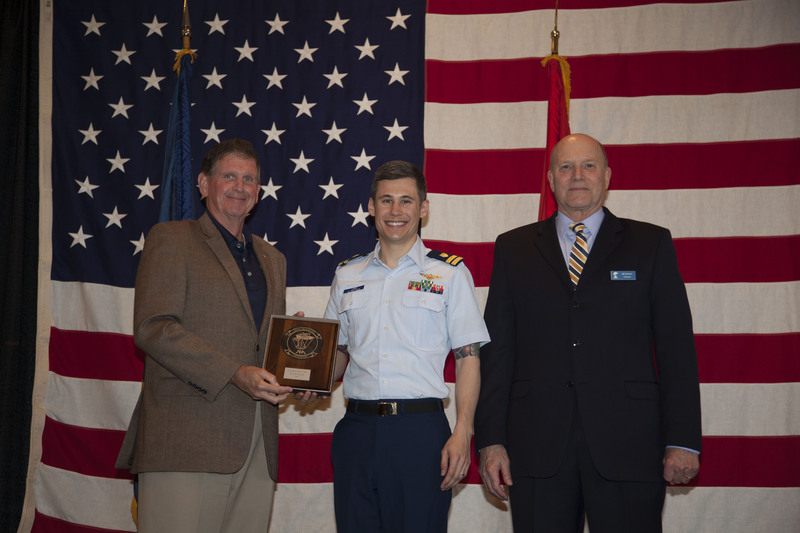 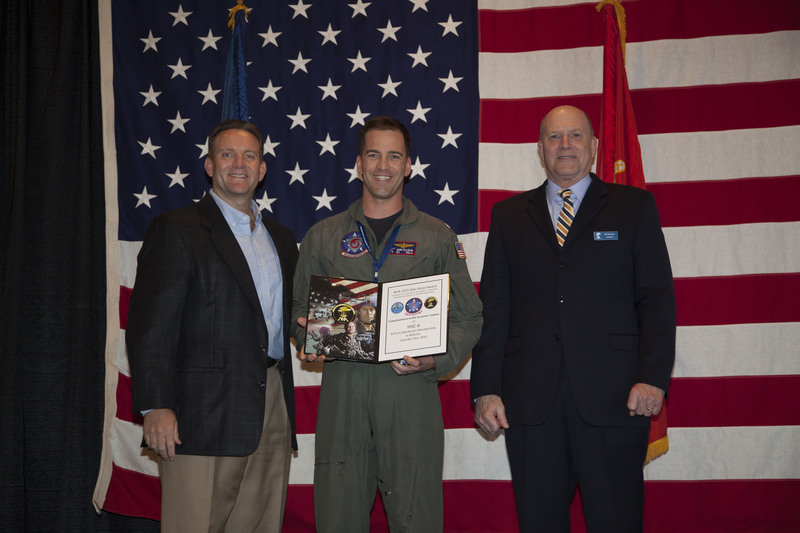 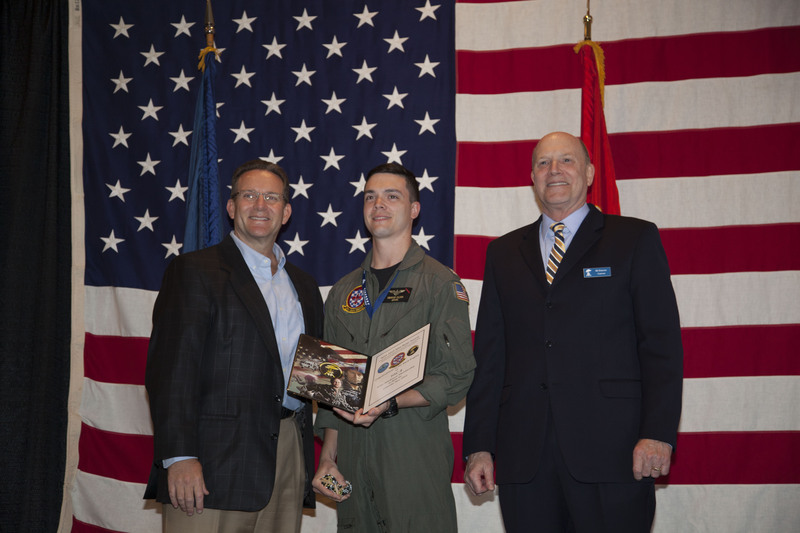 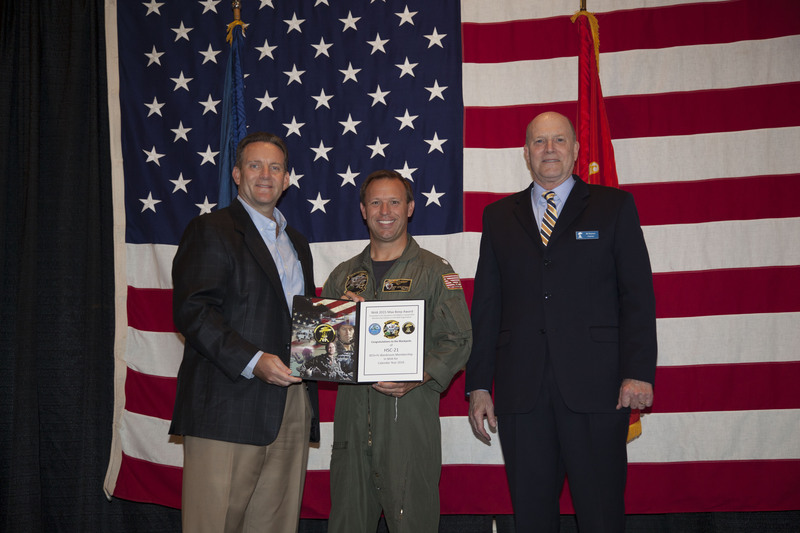 Presented to LTJG Chris McMichael (m) and presented by John Rees (l) of SkillMil, Inc. 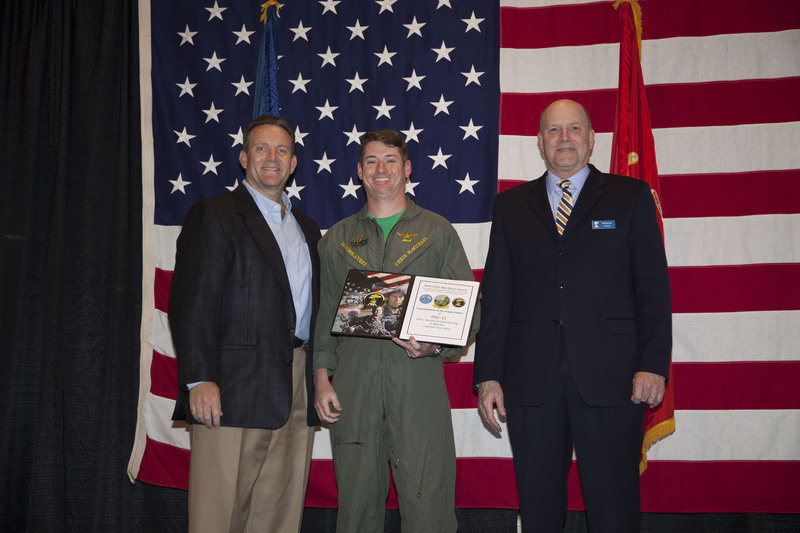 Awarded to HM-14 with 85% or more participation. 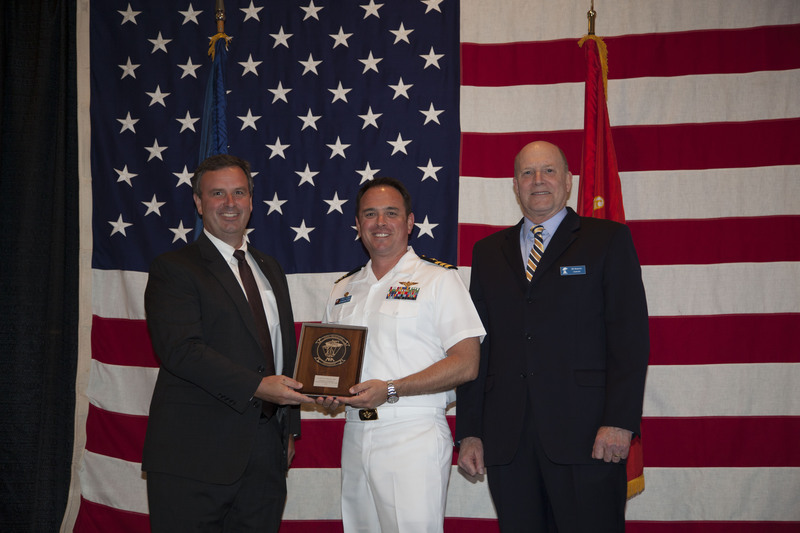 Presented to CDR Derek Brady (m), Commanding Officer and presented by John Rees (l) of SkillMil, Inc. 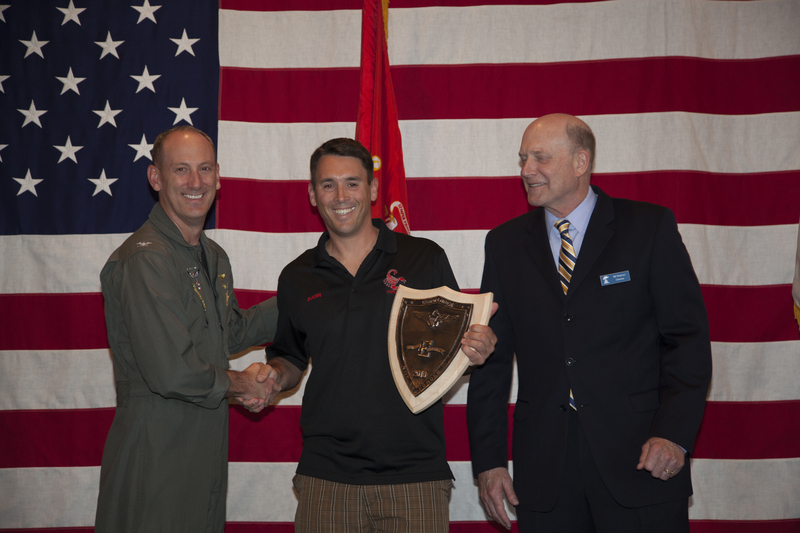 Awarded to HSC-21 with 85% or more participation. 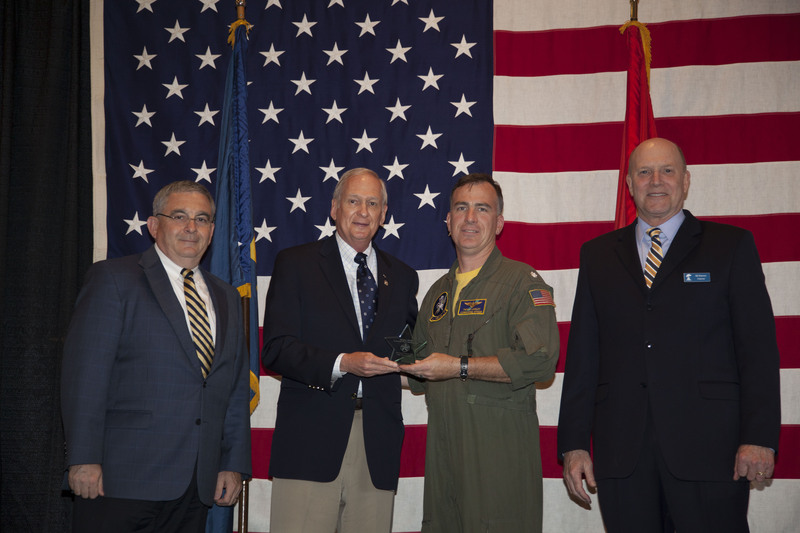 Presented to CDR Roy Zaletski (m), Commanding Officer and presented by John Rees (l) of SkillMil, Inc. 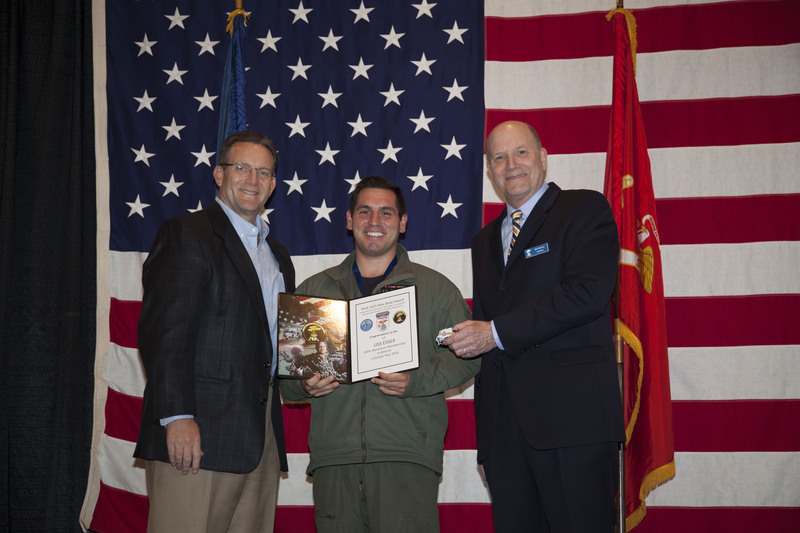 Awarded to HSC-22 with 85% or more participation. 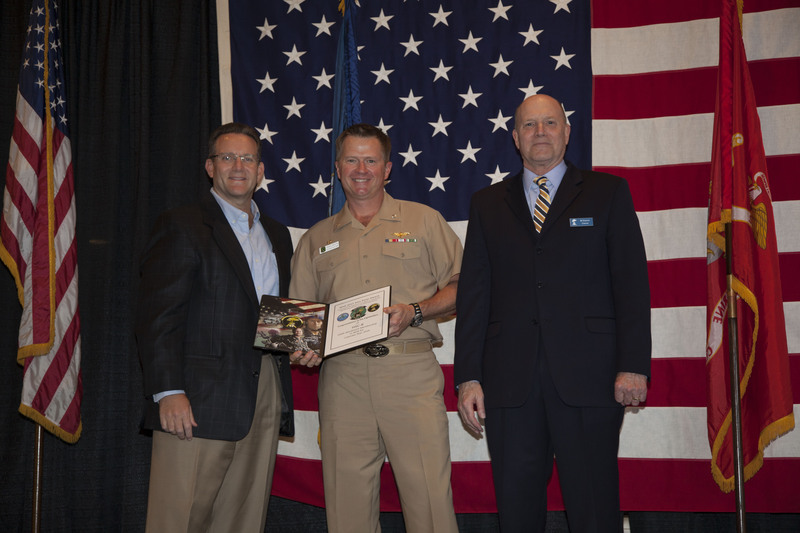 Presented to CMDCM Justin Crowe (m), Commanding Officer and presented by John Rees (l) of SkillMil, Inc. 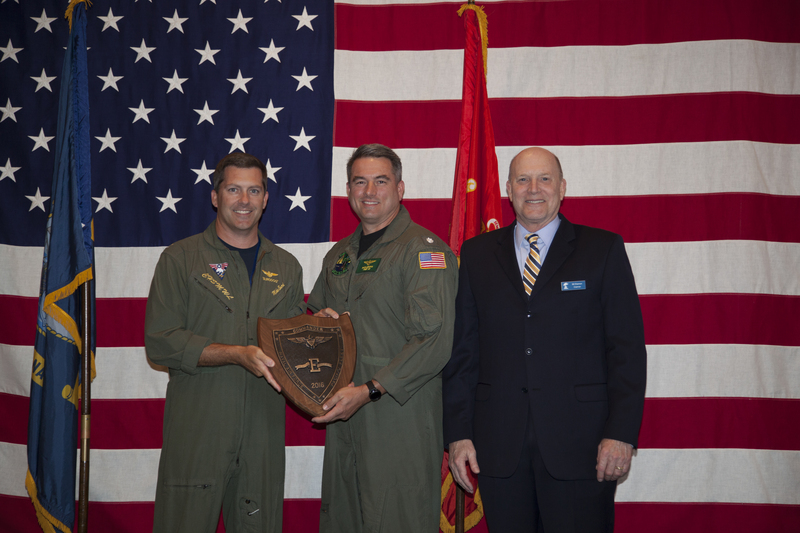 Awarded to HSC-22 with 85% or more participation. 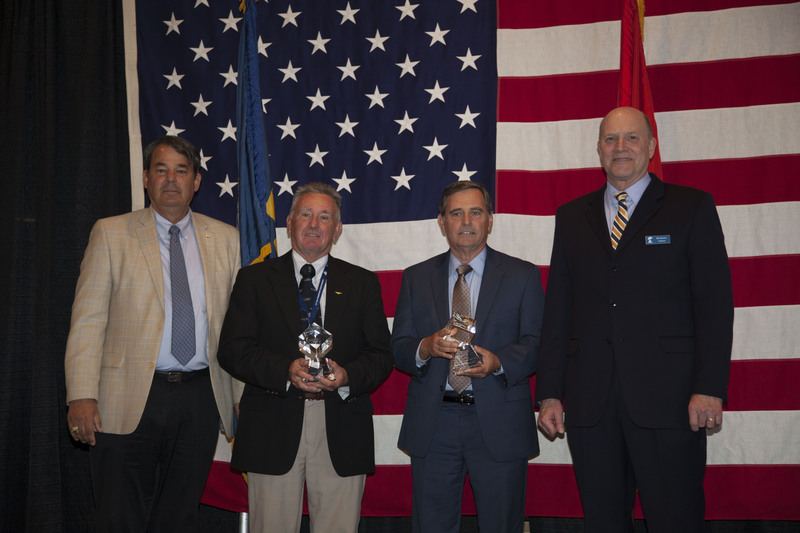 Presented to CDR Michael O’Neill (m), Executive Officer and presented by John Rees (l) of SkillMil, Inc.
ANA Helicopter Aviation Award Presentation to HSC-5 "Nightdippers," which was presented from left to right to LCDR "DT" Thomas, USN and LT Jason McCabe, USN.